After almost seven years, about 1000 performances and nearly 200,000 miles on the road, Victor & Penny has evolved from a charming guitar-and-ukulele duo to a full-blown musical entrepreneurship. “We didn’t set out with the intent of changing our lives and making this our career,” said Jeff Freling, who launched the project with Erin McGrane in 2010. “We had just reconnected, and we wanted to hang out and make music. People started liking what we were doing, and it scooped us up.” While Freling had been playing guitar in Chicago with the Blue Man Group since 1994, McGrane made a living in Kansas City as an actress and performer. The two had been trading song ideas and intermittently performing while living apart, and decided to make the leap in 2012. Freling returned to KC, and Victor & Penny turned into a full-time endeavor. Now, with a hometown show at recordBar this Wednesday, the two — who were married in May — have eyes on the future while trying to keep their careers viable. “It used to be that a label or promoter would advocate for the artist, but that structure no longer exists for middle-class artists and below anymore,” said McGrane. “No one will ever care about your business as much as you do — not even your best employee.” For full-time touring musicians like Freling and McGrane, the past five years have been a daily whirlwind of leveraging contracts, tending relationships, managing booking agents and promoters, seeking support in other towns, and hiring auxiliary musicians (e.g., their Loose Change Orchestra) — not to mention finding the time to create and the energy to perform. “The bad part of the sustainability scramble is that we have a bunch of new ideas, sounds and material that sometimes get pushed aside so we can deal with the business,” McGrane said. “It takes so much time, and art is often last on the list, yet it’s why we do all this in the first place. Our job is to make good tomatoes.” Freling also points out the necessity of emotional sustainability — a trait just as essential as financial security. “You have to continually ask yourself, 'Do I enjoy doing this?' One positive experience can put you right back on top again, but it sometimes feels like you're shouting from the bottom of a mountain. You have to be able to embrace all of that,” he said. “You need to schedule downtime, too,” McGrane added. “We’re both workaholics — everyone I know who does this is the same way.” And as they learned from fellow full-timer Beau Bledsoe, this sustainability game is akin to maintaining multiple burners on a stove. It’s a perpetual stirring and shuffling of priorities, relationships, scheduling and income streams, being careful not to leave one unattended for too long. One way Victor & Penny has been able to manage those burners has been through conducting workshops in KC and on the road, which in turn forge opportunities for engagement and community building. The workshops include topics like instrument instruction, performance skills, career building and general music education for non-musicians. “We like coming up with interesting content, and the more we analyze our processes, the more it helps us do them better and pass along what we’ve learned,” McGrane said. In the long-term, the duo hopes to cultivate a performance, rehearsal, recording and living space in Kansas City. It would serve as a hub for the local arts community while also offering them a reliable source of income. In the meantime, Freling and McGrane stick to fostering a welcoming environment through live shows and workshops, and laboring to enrich their art and refine their business practices, even as the sands of the music industry continue to shift. “Live music is one thing you can’t get on the Internet,” Freling said. “When you have audiences in front of you, they want to connect with you, and that’s why they come up to the merch table and buy your stuff. That seems to be the best path now.” "A couple friends of ours from Indiana who used to be touring jazz musicians came off the road a few years ago, and started a radio show called 'This is the Gig,'" McGrane said. “And when we're loading out after a long night or struggling to pay the bills, we often say it to each other, ‘This is the gig. 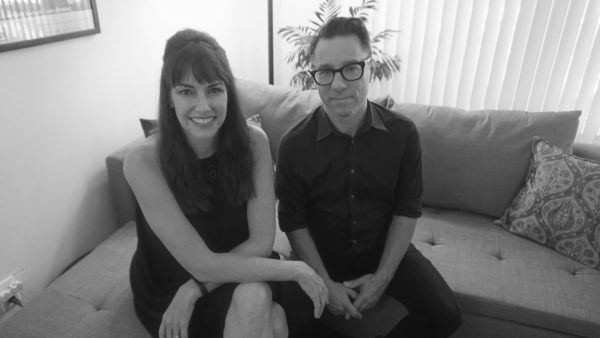 This is what we signed up for.’” Victor & Penny performs this Wednesday, Sept. 6 at recordBar with Grand Marquis; the two bands will perform separately and play a few tunes together. The show begins at 7 p.m. and tickets are available. — Michelle Bacon is a musician and writer dedicated to the Kansas City music community. She advocates for and helps spotlight music in the area, writes web content for 90.9 The Bridge and plays drums with Chris Meck & the Guilty Birds. Follow her on Twitter or Instagram at michelleobacon.